This lovely, if ridiculous and racist painting of the “First Thanksgiving” depicts a rich, peaceful meal shared by 17th-century “Pilgrims” and Native Americans. The first thanksgiving feasts in North America were actually celebrated by Spanish conquistadores more than 50 years earlier. Use the drop-down menu at the top left of the mouthwatering, beautifully written New York Times interactive to find your state. Do you think the recipe reflects your state or region? Why or why not? Consider the ingredients and method of preparation. 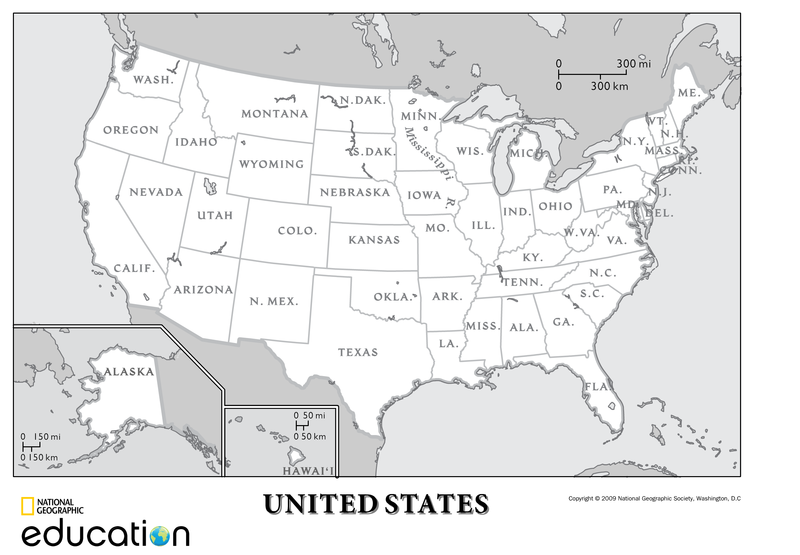 What would YOU label the United States of Thanksgiving? What would YOU consider your state dish? Would you start off with a floral salad from Washington, served on a paper plate? Or maybe a fresh seaweed salad steamed on a Hawaiian beach? Would your main course be traditional New England roast turkey? Or maybe turkey tamales from New Mexico? Would you finish off with a chocolate pecan pie from Alabama? Or a maybe a Florida pecan tart? How has physical geography influenced the ingredients or preparation of your state dish? How has human geography influenced the ingredients or preparation of your state dish? Skim the recipes in the NY Times interactive. What state cuisine are you most intrigued by? What dish are you most curious to try? How would you, your family, or your community “interpret” your state dish? Would you add a local specialty? Make it spicier? Prepare it according to kosher, halal, or vegan guidelines? Barbecue it instead of roast it? Extra credit! Read through our delicious spotlight on beignets, the official state doughnut of Louisiana. How did this tasty treat go from “scriblita to the Big Easy”? Why is this a “typical American migration story”? Can you map it using our MapMaker Interactive? Scriblita were a type of ancient Roman deep-fried doughnut. The Roman conquest of Gaul brought scriblita to what is now France. French bakers developed techniques that allowed dough to rise into a fluffy pastry. French settlers brought their pastry recipes with them to the New World of what is now the region of Acadia, Canada. The forced migration of thousands of Acadians from Canada to what is now Louisiana brought beignets to the Gulf Coast. New Orleans’ nickname is the “Big Easy.” Today, beignets are a symbol of New Orleans’ French Quarter! Over the centuries, millions of Americans have migrated to what is now the United States, bringing their recipes and cultures with them. The development of beignets, from ancient Rome to modern New Orleans, is a typically fascinating immigration tale. This week is Geography Awareness Week, celebrating the Geography of Food! This week, our Current Event Connection will focus on Food in the News, exploring food as a dynamic, diverse interconnection between health, politics, the environment, and business.